Up to 15% of the population has claustrophobia, and CAST claustrophobia is a serious problem for many patients, resulting in panic attacks and non-compliance with traditional treatment options. 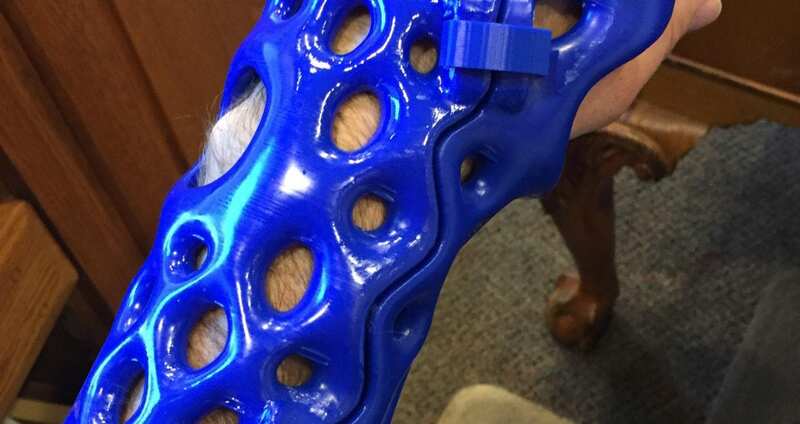 ActivArmor has successfully treated claustrophobic patients – allowing them to see and touch their limb, feel airflow, and reduce the trapped feeling, giving them relief and comfort while healing. Many patients experience a feeling of claustrophobia, or feeling “trapped” and anxious inside traditional casts – to the point of panic and even removing/destroying their cast. Refusing to comply with treatment can result in poor healing outcomes. In a 2014 study on intolerance to casting performed by orthopedic surgery departments at Kobe Rosai Hospital and Kobe University Graduate School of Medicine in Japan, the surgeons found cast claustrophobia to occur in 9 out of 1,574 castings, or about 0.5% of the population. ActivArmor has been tolerated by patients with cast claustrophobia, allowing them to safely and effectively heal from their injuries or conditions. Veterans, and those with PTSD are known to be especially susceptible to cast claustrophobia, and have been helped by using ActivArmor. 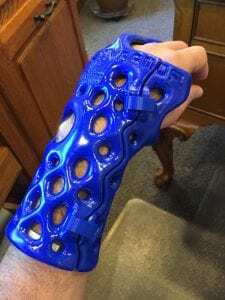 ActivArmor’s breathable design allows the patient to see the immobilized limb, touch the skin, and feel airflow to the affected area, eliminating the “trapped” feeling associated with traditional casts. « How Does ActivArmor Compare to Other “Waterproof” Off-the-Shelf Splints?